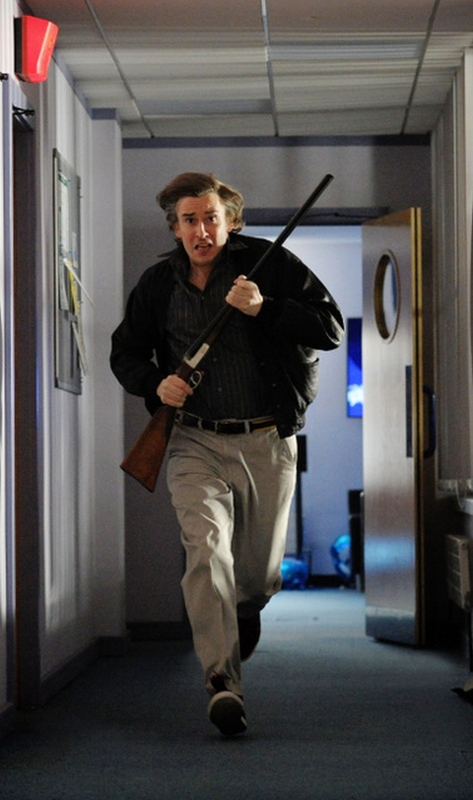 Do you want to see a picture of North Norfolk Digital radio host Alan Partridge running along a corridor carrying a gun? Everyone who said no, please make your way towards the door market ‘Exit’. The internet is not for you. Everyone else, enjoy this shot from Alpha Papa – there’ll be a full trailer along tomorrow. Famous local radio DJ / one time talk show host Alan Partridge (Steve Coogan) works at North Norfolk Digital. But when the radio station is taken over by a new media conglomerate, it sets in motion a chain of events which see Alan having to work with the police to defuse a potentially violent siege. Alan Partridge: Alpha Papa opens in UK cinemas on 7 August 2013.